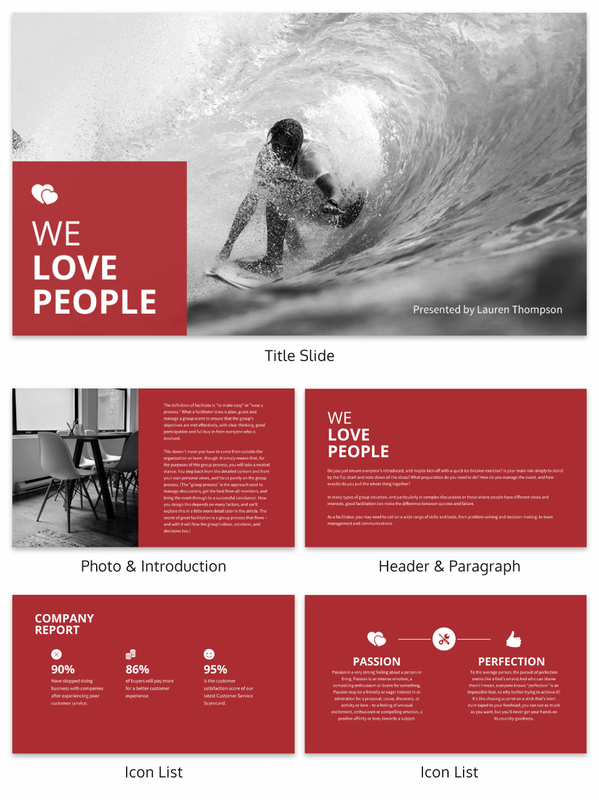 Your presentation makes an impression when you use Venngage's bold business presentation template! Nothing sends a message more than a customized and poweful business presentation! If you need to deliver a business presentation that’s vibrant and captivates your audience, then the Bold Business Presentation is the perfect solution. You can customize the Bold Business Presentation template to feature a bright color scheme or statistic charts. Upload photos or choose images from our large gallery to personalize the template even more. You can also edit the text, font, colors, background design, icons, and bullet lists. Don’t forget to add tables, graphs, and charts to feature important facts. The Bold Business Presentation is all you need to give an informative business presentation!